All the pieces are in place for your content strategy. But what’s next? Too often, marketing teams spend time and money putting together a strategy, only to let it sit on their desktops and collect virtual dust. While there is a ton of focus in our industry around developing a strategy, a lot of marketers forget that putting that strategy into action is just as — if not more — important. I get it. There can be a lot of components to a content strategy, especially if you’ve never had one before. Then, taking steps to implement that strategy? It’s intimidating! So, here’s a guide to help take that strategy and do something about it. Note: Some parts of a strategy, such as the research components, are meant to provide a high-level perspective of how a brand’s content is currently performing. These parts of a strategy may not include actionable insights. But the strategy components listed below are those that can be put into action and used in day-to-day content marketing activities. Before creating content, you must know who is going to see it. Marketers typically don’t have a ton of interaction with customers. That’s why buyer personas can be a critical tool for creating relevant content. Think of them like baseball cards. They contain the most important stats of your customers, and help humanize them. Persona cards could be printed and hung throughout the office or in your cubicle. Check out these buyer persona examples from MailChimp. You can also use buyer personas to guide your entire content creation process. We have one client who we determined had three distinct audiences, but they were only creating content that spoke to one of them. Now, each of these audiences is treated like a different channel with personalized email campaigns, social media posts, blog posts, etc. To ensure your content is focused on these personas, use your editorial calendar and label each piece of content with the persona it serves by using assigned colors. This will provide a bird’s-eye view of who your content is serving. You may want a balance of content, or if your business decides to focus on selling to one persona, your calendar will help make sure you’re supporting that goal with content for the right audience. 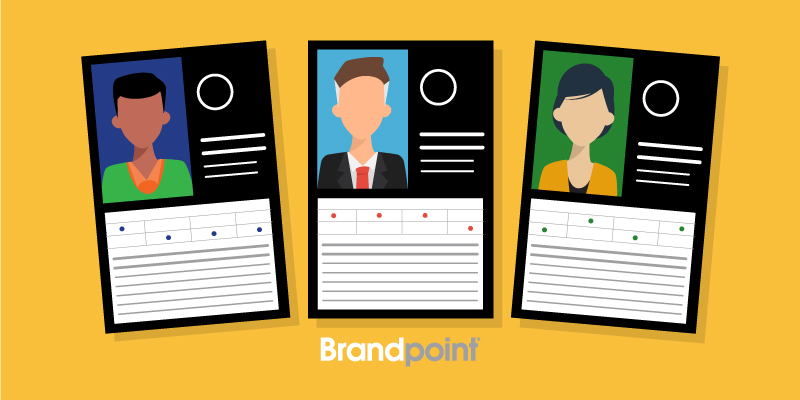 PRO TIP: BrandpointHUB offers the ability to assign personas to each piece of content so your creation stays focused and purposeful. Our favorite way to develop a mission statement is to do it Mad Libs style, as we explain in the strategy component of the Content Marketing Playbook. 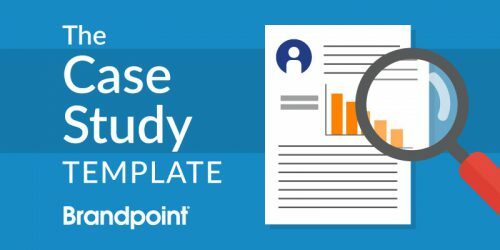 Paired with your buyer personas, the statement serves as the foundation for the rest of your strategy. Use it to develop your content, themes, topics and types. Every piece of content must support the statement. If it doesn’t, don’t create it! Just don’t overuse the power of the content marketing statement. If someone’s idea doesn’t align with your statement, it just might need some finessing, or their suggestion could generate ideas for a different topic. Tracking the performance of your content informs what to repurpose and optimize, and it’ll allow your team to take a more strategic approach to developing new content. As we tell clients, it’ll help tell your content marketing story. Numbers are useless unless you have context and perspective. Once you’ve told the story, you can then figure out the metrics you want to improve and record — what does content success look like across all channels and content types. Then, make an action plan for your team. Don’t get too mired in the numbers — just tweak them based on where you’re seeing success. After recording those KPIs, the next step in your content marketing story may be to optimize or repurpose content that has an opportunity to improve an important metric, without a significant amount of work. A content audit has long-term benefits: It’ll maximize all the content you already have — whether that’s by deleting underperforming posts, turning a blog post into an infographic or discovering posts that have the potential to easily rank in search engines. For instance, some content may have a high number of impressions in search but a low click-through-rate (CTR). To improve CTR, edit the SEO title and meta description to answer the searcher’s questions or be more direct about what the post is about. Content with a good CTR but high bounce rate means you may want to update the post to be more engaging and helpful, and thoroughly answer the questions of searchers. You content audit’s findings will help fill in your editorial calendar and capitalize on the work you’ve already done. However, this shouldn’t be a one-and-done process. Continue to monitor the performance of your content to find opportunities for optimization and repurposing. A tool such as SEMrush provides recommendations for optimizing content and identifies best opportunities to improve organic traffic. Unfortunately, even the most useful strategy won’t get much mileage without making sure everyone in the company is on board. A strategy might suggest new roles for everyone on the team or inspire a new way of working. These changes can make stakeholders feel a little uncomfortable. Your team may also feel pressure to show stakeholders immediate results after putting a new strategy in action. However, make sure to communicate that some aspects of content marketing don’t typically generate immediate results. It took our own marketing team over six months to see results of their optimization work for a single blog post, but it is now our best-ranking post in organic search. With diligence and patience in executing the content strategy, you will see results. If the stakeholders at your organization need a little more convincing, check out this post on securing buy-in on a content strategy. The process I outlined above should be used throughout the lifecycle for every piece of content. Whether using personas and the strategy statement to assess content topics, or using metrics to identify content opportunities, all parts of the strategy work together to form a holistic content marketing practice. 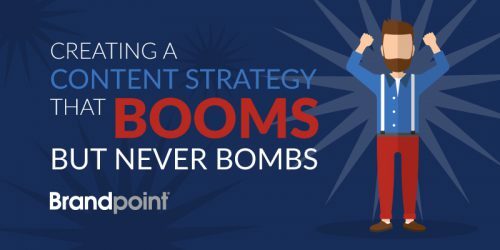 And remember, your content marketing strategy is only as good as the action plan behind it. 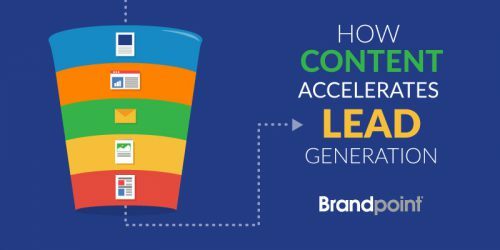 Learn how Brandpoint helps brands create and execute content marketing strategies, including strategies for SEO, social media and marketing automation.